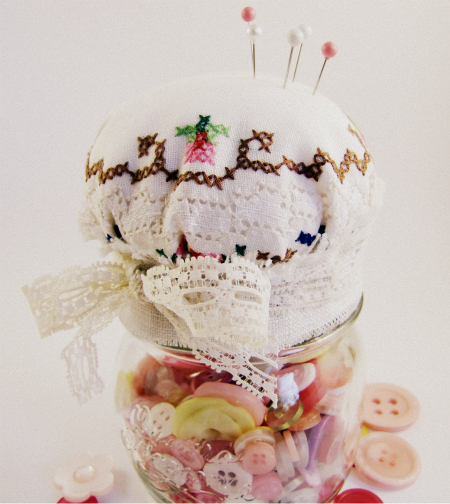 The Haby Goddess: Mother's Day Idea: Make a pincushion jar. 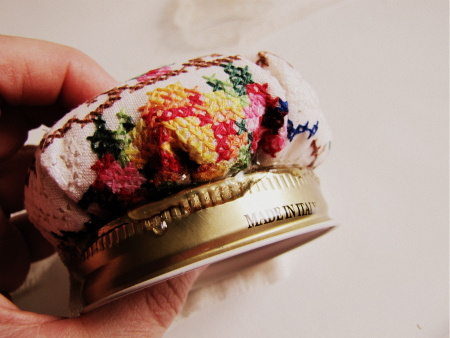 Mother's Day Idea: Make a pincushion jar. 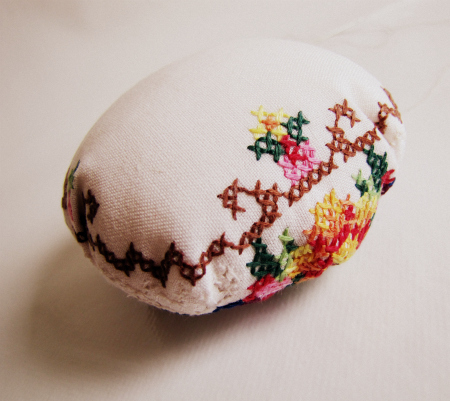 Many years ago, my brother made mum a pincushion at school for Mother's Day out of a plastic Fabulon lid, some polyfill, a piece of fabric, all tied together with a piece of elastic. Mum used it for years & years and may even still. While it was practical & did the job perfectly, I'm going to show you how to make something a little cuter but just as easy! A glass jar with lid - I paid $6.95 at my local home wares store but you are likely to pick them up at an op shop. 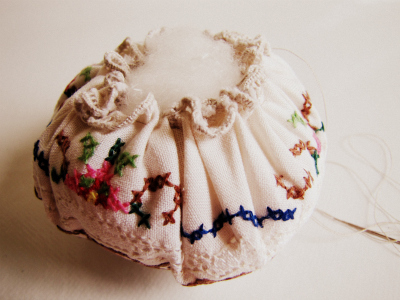 Jar lid was about 7cm wide, doily diameter was 18cm. 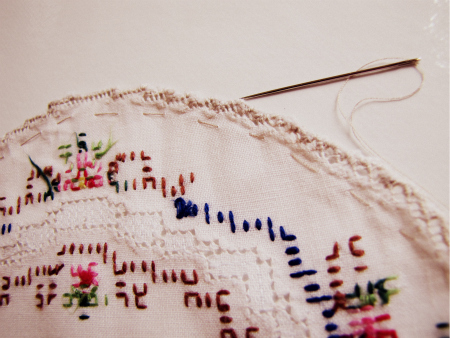 Take a needle & thread and do a basting stitch around the edge of your fabric. Gently pull until fabric is evenly gathered. Add fill, making sure it is firm and makes a nice dome shape. Pull thread tighter to close hole and finish off to secure. 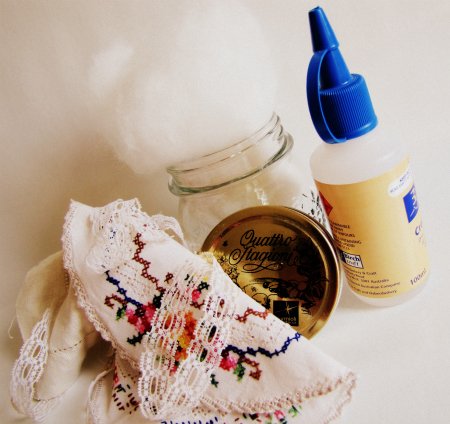 Cover your lid generously with glue and add cushion. Hold down for a minute or so. Add more glue to the edge of the cushion. 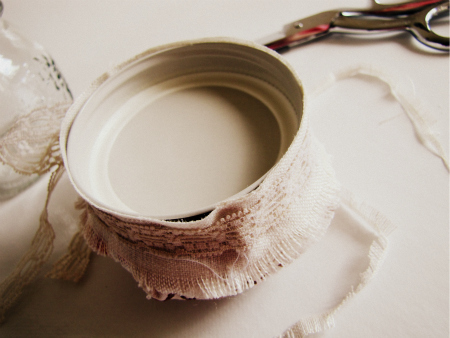 Add any fabric, ribbons, lace and trim back to the lids edge. 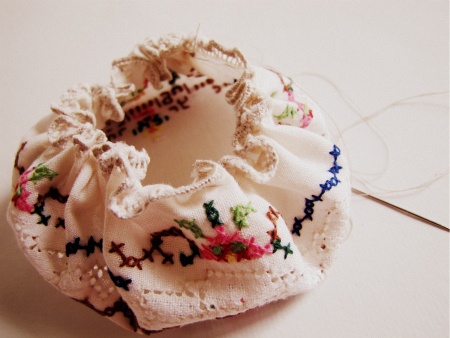 Fill with buttons, trims, cottons, anything! What a great idea. I think I would fill my jar with safety pins! I have one of these...not so fantastically made either...I can't use the jar lol so maybe it's time I 'upgraded' haby goddess style! Thanks Jodie for another cute and interesting tutorial! Lovely! I have a few empty jars waiting for something sweet like this! Thank you for the tute.